The condo was well furnished for our needs. The balcony is conveniently located just above the pool with a pool/boat dock entrance that made loading & unloading the boat very easy. The massive commercial grade ice maker on the ground floor was a huge bonus and it always had enough ice for all the boaters there. Amazing as always. 7 plus years and love staying here. My group of up to 10 anglers have stayed at Pelican Landing for over 12 years. If you are an angler Pelican Landing is the perfect place to stay. Great staff, nothing is to much trouble and perfect for a boat pick up. Pellican Landing is a great place to stay. Clean, well equipped condos located about 25 minute's walk from Duval. Check out the Living Viet Nan Memorial located across the road. Good location and pool. The Aruba Retreat needs some repairs. Very nice. We were upset by the condition of the bedding upon arrival and had to wash the mattress pad and sheets. Unfortunately, there was not another set of bedding available that fit the king size bed. This rental was amazing. We had a lot of memorable moments in this place. We would definitely come back and stay here again without any hesitation. The staff were very friendly and helpful as well. One of the Best Key West Stays Ever! My family of 5 adults spent four nights and 5 days at the Pelican Landing Aruba Retreat. The cost was more than we would have liked but the property was great. Accommodations were excellent, boat docks excellent. Barbecue areas the best. Parking great!Can't wait to do it again. This particular unit was fine for our needs overall. The air conditioner rocks, takes care of any humidity. 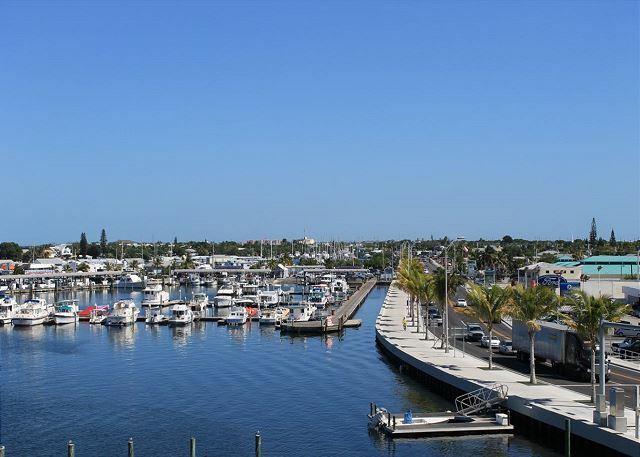 You are only 1 mile away from Mallory square easy to walk. We were on the 1st floor, our patio had access to the heated pool, TiKi bar and grills which was great we did not need to use the elevator. Each unit is decorated by the owner, so what they update is up to them unless it is warranted. This unit could use a bit of aesthetic updating in the kitchen cupboards and dishwasher as well as the bedrooms all needed new mattress's, both bathrooms need some updating, no hairdryer in one, the other the exhaust fan didn't work, and ceiling tiles need replacing. We spend most of our time outside and soaking up the Key West fun, so these were some suggestion for the owner to update. We would definitely stay here again but in another unit, that had the updates taken care of. FABULOUS CHOICE! OUR ARUBA CONDO CHOICE WAS THE ABSOLUTE BEST PART OF OUR KEY WEST VACATION. OUR CONDO HAD EVERYTHING WE NEEDED IN THE PERFECT LOCATION. I WOUND DEFINITELY WANT THE SAME CONDO IF WE WERE TO RETURN TO KEY WEST TO VACATION AGAIN. I WOULD ADVISE ANYONE GOING TO KEY WEST TO RENT A BOAT AS SOON AS THEY ARRIVE OR BRING ONE WITH THEM, ESPECIALLY SINCE YOUR BOAT SLIP IS WAITING! Our family really enjoyed renting at Pelican Landing. Management was very professional and we felt bad they had to attend to other guests not following the rules (partying) which all renters understand when they sign a copy of the rules at them of check in. I have stayed on the property before with friends who own condos at Pelican Landing and we have always enjoyed our time there. We only had one issue with the refrigerator when we arrived but the management team took care of the issue promptly. We look forward to renting again in the future. It was a great opportunity to visit Key West and see how beatifull it is. Outstanding is the best description of experience. The unit was clean and up to date with appliances,televisions, furnishing and bedding. A clean pool and excellent. View. Condo was not new, needed updating, but was clean and comfortable. Wedding party friends suggested we stay at Pelican Landing. The rooms were spacious, the staff friendly, the location perfect. We would stay here again. 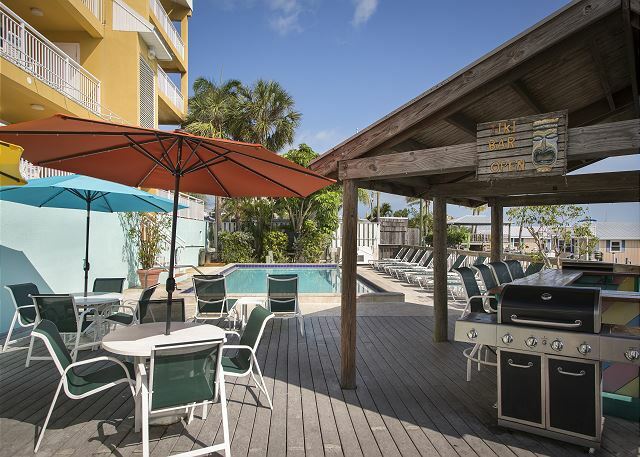 I have stayed in condos in better condition in various different vacation locations, but for the price in comparison to other vacation rentals in Key West this condo was sufficient. I was not at the condo much of the time, mainly to sleep and get going in the mornings. The condo is really in need of some tender loving care, new furniture and some sprucing up, but was clean and in a fairly good location to access points of interest in Key West. I mostly used a cab to get around and never had a problem getting a cab within a few minutes to the condo. The main downside during my stay was that the condo is located on the first floor just over top of the drive through garage and motorcycles were parked in the garage. Sleeping was interrupted as the motorcycles came and went, at all times of the day and night. The property management was very professional, the condition of the property was in good condition. Our stay was very pleasant and recommend this property again. The appartment look exactly as in the picture. We had a good time in Key West in this place. If you have a big family this is a good option. The staff was helpful. Room service (cleaning and towers) is available but you will need to request it early everyday. The air conditioner was a bit noisy. The rental staff was very helpful, and overall we had everything we needed. The location is a bit far from Duval, but having the boat docks at your back door was a big plus for us. This particular unit could use some updates. Excellent Stay for the boys each year. It's perfect for a guy trip. Not 100% sure I would choose this for a romantic stay, but for the guys or a family vacation it's perfect for the second year in a row. Water pressure was low, but that is my only complaint. Very nice condos, very comfortable and plenty of parking. This offered all the comforts of home! Hello Jennifer, Glad you enjoyed your stay. Hope to have you stay with us again. Pelican Landing - Great place to stay! Had a great time! People were helpful, friendly and overall professional. Our coffe pot was broken but was replaced right away. We will be coming back next year to stay! Rental was good for short term stay and so a group can stay together. No need for multiple hotel rooms. Kitchen provides a means of preparing meals to help defray cost of eating out. had a great time, I'll be back. It is in a good and quiet location, nearby to the old town (5-10 min walk). Nice pool, nice view to the fishing harbour. Rooms were quite big and clean, although they might need some refurbishment, but everything is in good condition and working. I would suggest to people with families. Every aspect of our stay was great . Great time in Key West. We had a great stay at this resort. We walked everywhere. Would stay at this resort again. Better priced than comparable units, not a bad location and quite spacious. Only the floor was not as clean as one could have expected, but everything else was good. We only stayed for one night, but wished it was longer. Rooms were clean and spacious. The view from our balcony was amazing. We enjoy much the location with a pretty sight and near Duval Street. I was happy about how things were handled when there was a problem. Kitchen disposer and the hair dryer was out of order when I arrived, but when I reported it, within minutes,, a maintenance guy came. When the dryer was unfixable, it was replaced by a new one. The room was spacious. The balcony was nice; we had breakfast every morning there. Hello John, Glad you enjoyed your stay, hope to see you again soon. Apart from the property being in the middle of road reconstruction, which made it difficult to get too our stay was good. The elevator smelt bad. We stay here every year. We bring our boat from Clearwater, FL and do some lobstering and fishing. This location is perfect - we wouldn't stay anywhere else! Only drawback this year is the road work. See you next year! The freezer at the cleaning station was way too full and needed to be emptied for 3 days straight. It was great.You need to add one more ice machine there was no ice left alot. Great place to stay and a lot of fun! 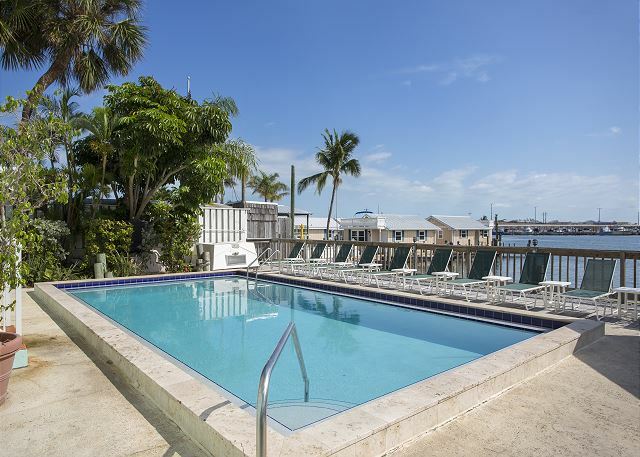 We rented two condos at Pelican Landing on the first floor with great access to the pool. Everyone that stayed there was wonderful. Lots of party going on!! !The condos are very spacious and had everything we needed. However, the pool had nothing in it but had a black film around the tile and probably just needs a real good clean. Lots of lawn chairs and gas grills and Tiki bar for fun. There is also boat slips for anyone traveling with a boat and it was awesome to watch the fisherman come back and cook the fish they caught. Very Key West!!! Our condos did also have some unexpected visitors “roaches”. We are in the keys so bugs are expected..and the building manager sprayed as soon as we notified them. Overall, we would absolutely stay there again!...roaches and all…. My party had a great time staying at your location, we rented a total of 6 units. My only concern was the manner some of the employees I spoke with over the phone. I feel that they were upset that I had some questions and it seemed like I was inconveniencing them at times, on one occasion i called to see if the rooms had irons and the response I received was that "we even have sheets on the beds" totally unacceptable!! Luckily the property was in a great location and the rooms were clean and comfortable. Thanks again! This is a wonderful vacation spot. I was disappointed when we pulled into the parking lot because it was dirty but once in the unit, we loved it. It could have a few more kitchen supplies but otherwise it was perfect for us. I had a great stay at this property. Love the location and the size of the room. Only negative is I paid about 125 more than I did a year ago. We always have a great time coming to Pelican landing. From the rooms to the slips and especially the fish cleaning station, it is the best. The staff and facilities are always top notch! My fishing team will be back soon! Thank you again. We love Pelican Landing ! The location is perfect since we bring our boat from Clearwater. We have stayed here the past 5 years and couldn't be happier. See you next year! our 2 week stay. Secondly, the entire time we were there no one ever washed the tile in the swimming pool. The tile was a greasy mess! We had a great experience. Will be back next year. We had a great time! Your web advertising does not do justice to these apartments. We were definitely not expecting such a lovely, clean and completely outfitted unit. The location was great and we felt like we were at home. I will definitely be back. Unit really needs a new ceiling fan in secondary bedroom. Would be nice to see newer fridge. We had problems with it during our visit. Fantastic! Great place for a family stay, but particularly for students! Reasonable price for what they give you. Location is near Duval st, but not too close, and is close to stores and such. 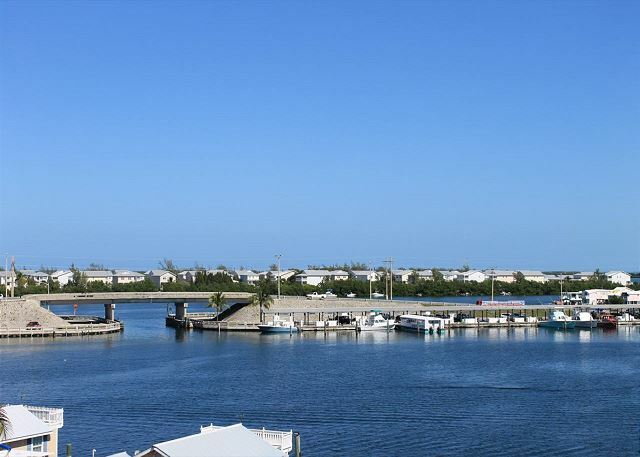 Excellent condo with boat slip, my wife loved it. We really enjoyed our stay at Pelican. The convenience of having our own boat slip and full kitchen was wonderful. The heated pool was great too, as it was a bit chilly the week we were there. Can't wait to book another trip! Thanks. Happy Birthday Tom! We came down to celebrate his 40th. I loved it! We are coming back New Years Eve! The Pelican Landing was wonderful. I liked the pool, parking, marina. It's about 10 blocks from Duval. Just enough for some peace and quiet. We will stay there again and again! Perfect! Love It Love it Love it !!! We always look forward to our trip to Key West. Pelican Landing is our favorite, Has been for the past 4 years. Location is wonderful, easy in and out with our boat. Cant wait till our next vacation down !! See you then! The trash chute and dumpster continue to be a breathold experience, the pool use hours need to be enforced because of very loud late nighters. Thank you again for the good dockage and the boat ice. Condo floor was filthy. We mopped it. Main Tub Drained VERY SLOWLY. Filled up acually. We are From Clearwater Florida and have been staying at Pelican Landings since the 1980's. I would recommend this place to all my boating friends. It is very conveniently located. The pool, free ice, flat screen televisions and full kitchens make it a home away from home.